The name Superb has to be earned. Design requirements for a Škoda automobile were never as high before – the result is an exceptional car. Fittings and design are „a revelation“, says Škoda boss Winfried Vahland. After the new Superb was presented at the Geneva Motor Show in March 2015, the Superb is the new face of Škoda, and it radiates pure beauty. The book on the new car is a design object just like its model. Strong, emotional, fascinating. With high-class, climactic photography, pure aesthetics in the world of tomorrow. Extensive photo galleries are followed by important information in the middle of the book (the Superb dossier), then a reference to the brand’s roots (the history), and the end is dominated by photos again. The Superb is always the protagonist – the hero in a light-flooded room. This is no book with sectional drawings, interior photos and boring technical descriptions, but an illustrated book on the Superb on a new Škoda platform! 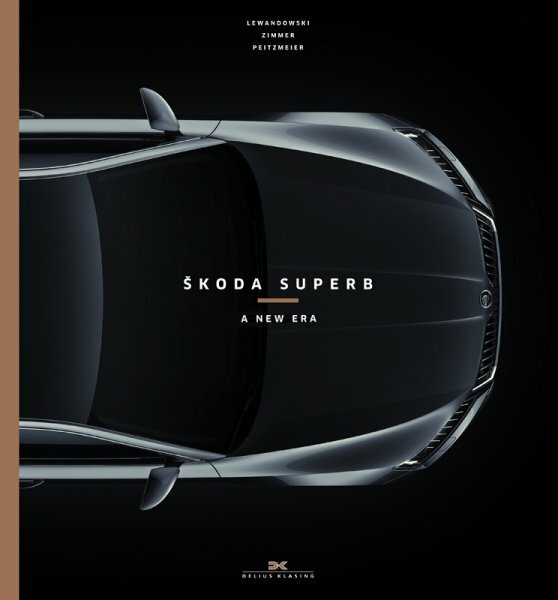 A design book full of state-of-the-art technology, full of innovations, but also with the Škoda legacy of 120 years. Exceptional, superior, just superb: the new Superb at close range.